The El Tigre Gordo is a wide version of our standard high performance El Tigre SUP Surf model. 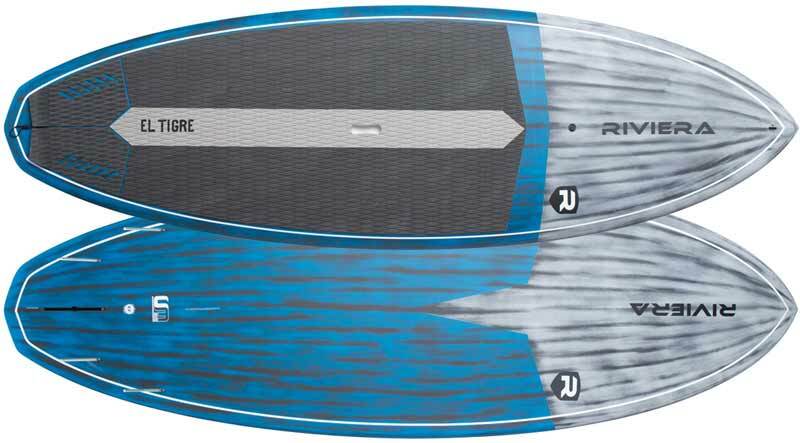 Featuring a slightly fuller nose, wider outline and diamond tail, the El Tigre Gordo packs a lot of volume in a small package enabling more people to ride a shorter performance SUP. 8'8" x 32" x 4.3"